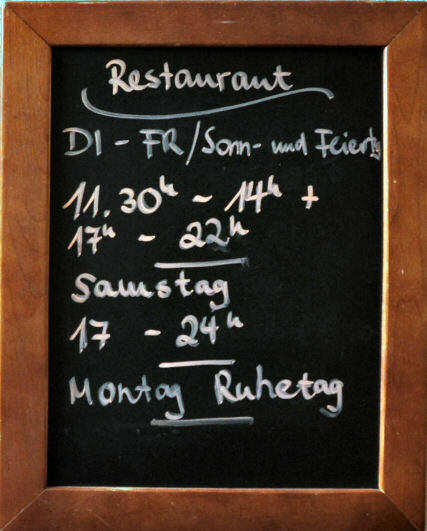 The restaurant Hubertus is located directly in the house and is available to our hotel guests, as well as external visitors to the opening hours mentioned here. 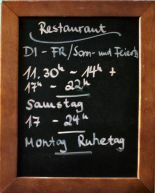 Here you can round off the day with a wide selection of international dishes and a freshly drawn Darmstadt Pils or a good glass of wine. Also for larger occasions, such as Family celebrations or meetings, sufficient capacity is available. In addition to the á la carte offers, we also offer a low - cost lunch menu with 2 dishes each Tuesday - Friday.